You have gained leadership support, started implementing your project, and people are actually participating! The project is really humming along, getting some results, but you still have a nagging feeling that if you let go, everything would go back to the way it was. The organization still sees the initiative as something special, an exception to the normal operation. It’s the scorecard that is completed, but not really used to make decisions. It’s the process improvement tools that are only used in special teams. Or, it’s the perfunctory forms or reports that are filled out “because my manager says so.” The initiative is still just a side project, and has not yet been incorporated into the way the organization does business. 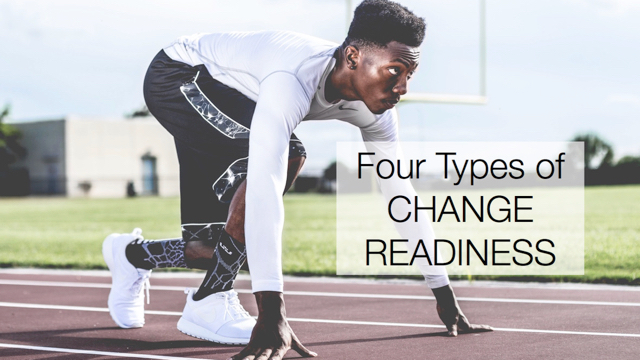 Just about the time people are getting bored with the shallow success of it, it’s time to further embed the change into “the way we do things.” The following are a few ways to switch your change away from being just a side project. Change your language. Move away from talking about the change as a separate project. Instead, incorporate the terminology of the project into everyday activities. Avoid references to exclusivity, like specific people or groups who are implementing the project, so everyone feels like it involves them. Check your initiative’s branding to see if it sounds too much like a special, temporary project. Ensure your output is also an input. The output of your initiative should be a crucial input to another process that keeps the organization running. Otherwise, it seems like your project is just for the heck of it. The output must be an expectation of someone who is relying on it to get their job done. If the initiative suddenly stopped, someone would miss it. Stop arguing about the tools and start using them. Sometimes an initiative gets stuck because people think they are implementing change, but really they are still working hard on getting the tools perfect. Getting hung up on the how is an easy way to avoid using it in the business. Agree that the tools are good enough, and start using them to make real changes to the work. Make it the new comfort zone. Essentially, you want the organization to get stuck with your initiative as the new status quo. Make the next initiative a victim of your own success. Identify what makes your initiative uncomfortable and work to decrease the sense of discomfort. Practice, practice, practice. You want to move from conscious competence to unconscious competence. Unconscious competence comes only through repetition. People get comfortable with new processes and behaviors only after completing them successfully time after time. At some point, it becomes something they are used to doing, a new habit. Take off the training wheels. As a change agent, it often feels like everything would fall apart if you weren’t holding it together. At some point, you have to let go and see what happens without you. If you want the change to be the way the organization does business, then you have to let the business do what it does – manage it, improve it, and make it their own. Transfer ownership to those who are doing the job, so they can actually make it their job. As long as your initiative is compartmentalized as a side project, you run the risk of having the project end before change has happened. Incorporate your side project fully into the way your organization works to have true change and success. This is the hardest part of a change initiative. Having the organization treat it as the norm. The trouble is ‘the norm’ doesn’t go away and too often the organization gets used to the change being something different. Something they do on the side. Unless you can take away some if those things that continue the norm it is often hard for people to fit the new stuff in. Remove the old tools if you can ( this is where IT is great: just ask them to delete it en masse). Do not accept the old report and only ask for the new one. Drop the old measures and replace with the new. You can do this if you’ ve truly got what Heather suggests you have in her first line: leadership report. Convince them to drop the old report, sanction the tools, change the measures and you have a chance in this important test of your change.